I want to give you a BIG THANK YOU! I don’t know if you have heard, but my Corn Chowder with Wild Rice won 2nd place in the Switch to Whole Grains Recipe Contest hosted by The Whole Grain Council. From your votes, I was in the top 5 and the next step was to make the recipe. Out of the 5 recipes that were made, my chowder came in 2nd place. I am so proud! I could not have done it without your votes, and support. You Guys are the absolute best!! All I want to say is thank you, thank you! You Guys Rock! 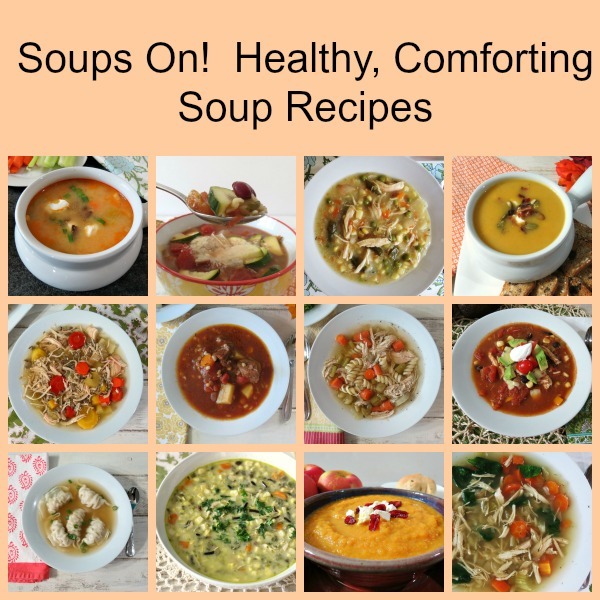 Since we are talking soup, I thought I would give a round-up of my most popular and personal favorite soup recipes. 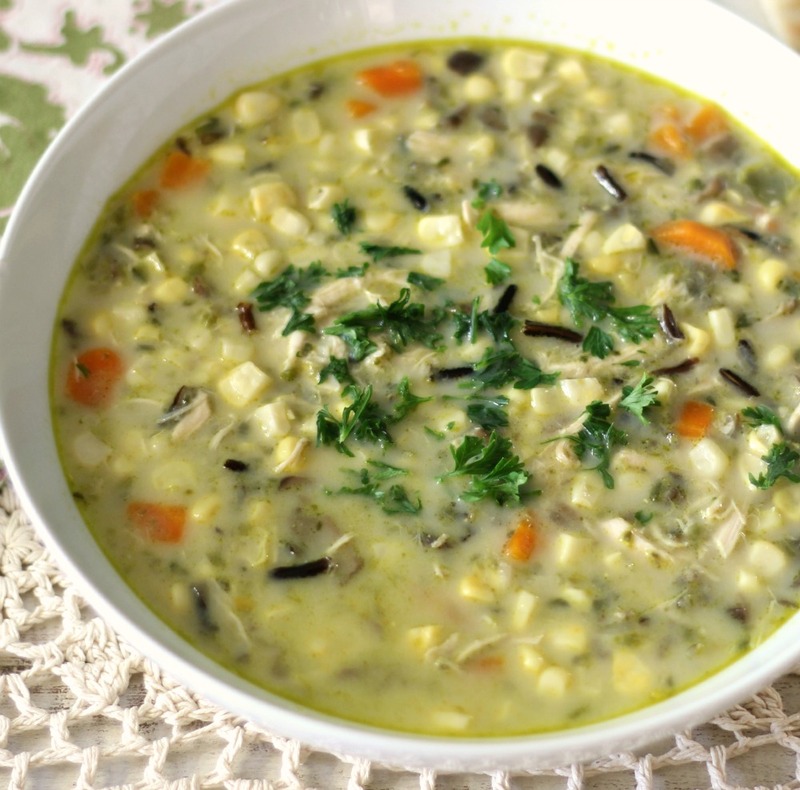 I have to start off with the recipe winning soup; Corn Chowder with Wild Rice. 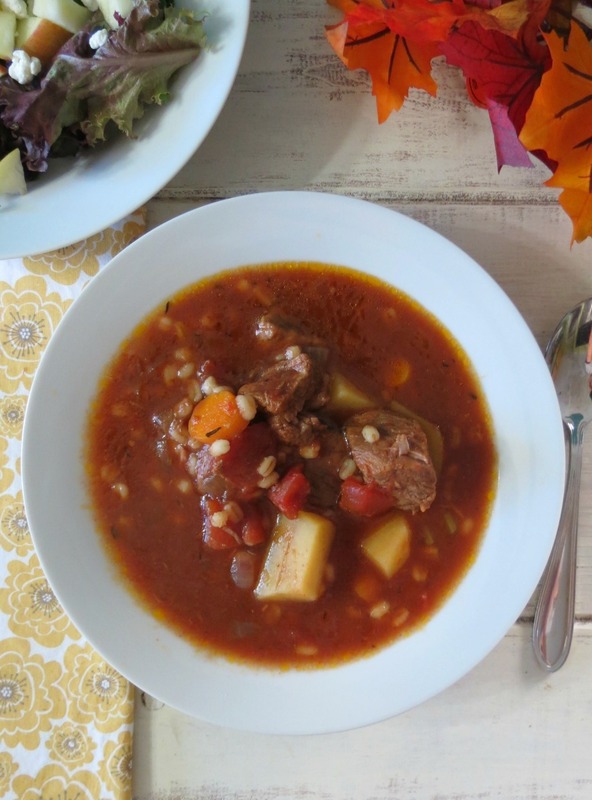 Beef and Barley Soup in the Crock-Pot – Amazing soup, reminds me of a mix of beef stew and soup. A family favorite! Buffalo Chicken Soup – I love this soup because it tastes just like a chicken wing and you know how much I love my Buffalo style foods! 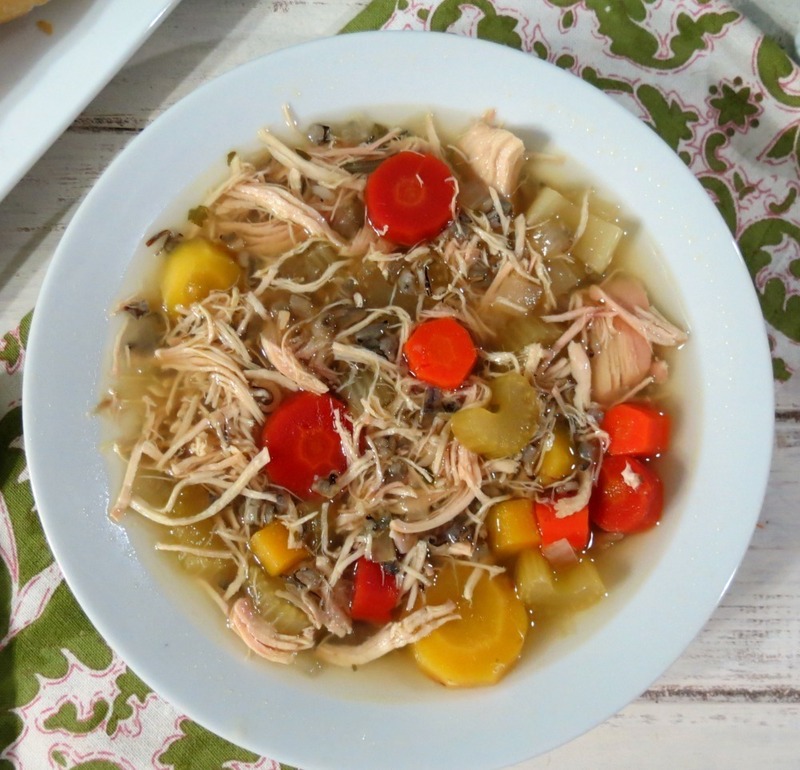 Chicken and Wild Rice Soup – This soup is delish! Hearty, comforting and chock full of chicken. 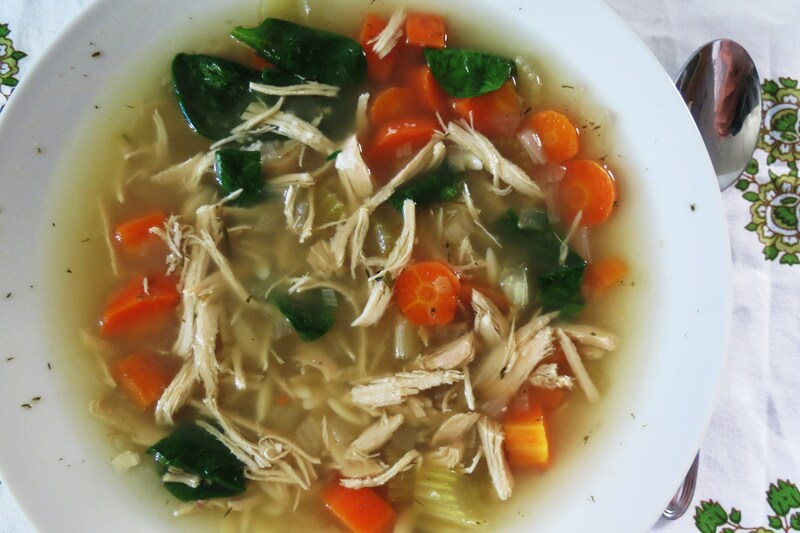 Chicken Lemon Soup with Orzo Pasta – One my most popular soups and it is so easy. it’s crazy that a pinch of lemon takes this soup up a whole new level. 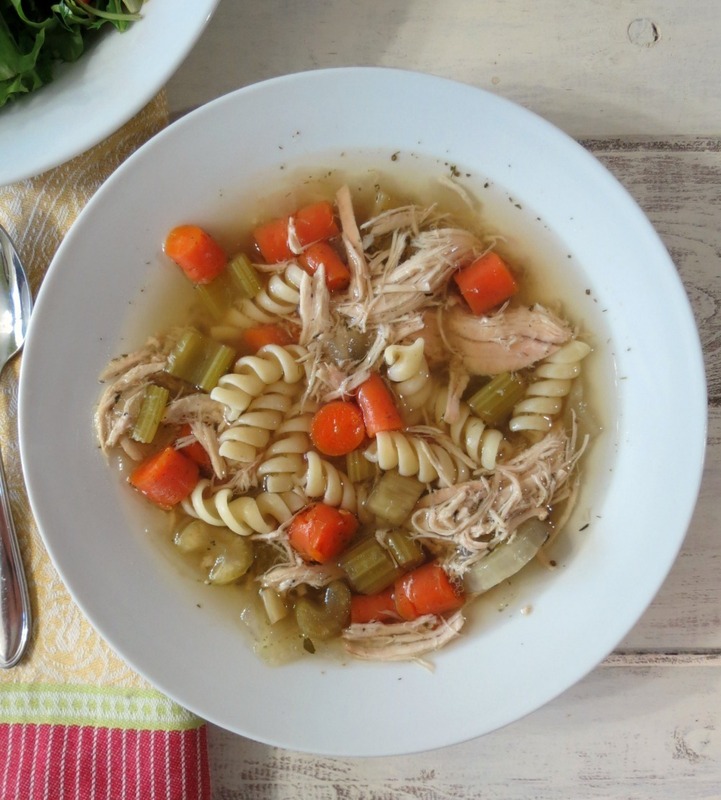 Chicken Noodle Soup in the Crockpot – It’s pretty apparent from my recipes, but chicken noodle soup is my favorite. I love it and I love how easy this is in the Crockpot. 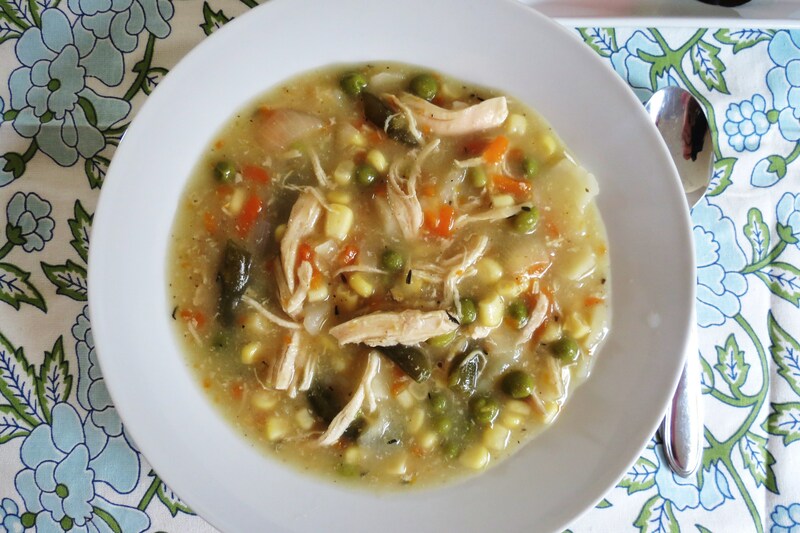 Chicken Pot Pie Soup – I have to say is oh my gosh! This truly tastes like chicken pot pie without the crust. It’s warm, comforting and low-calorie! 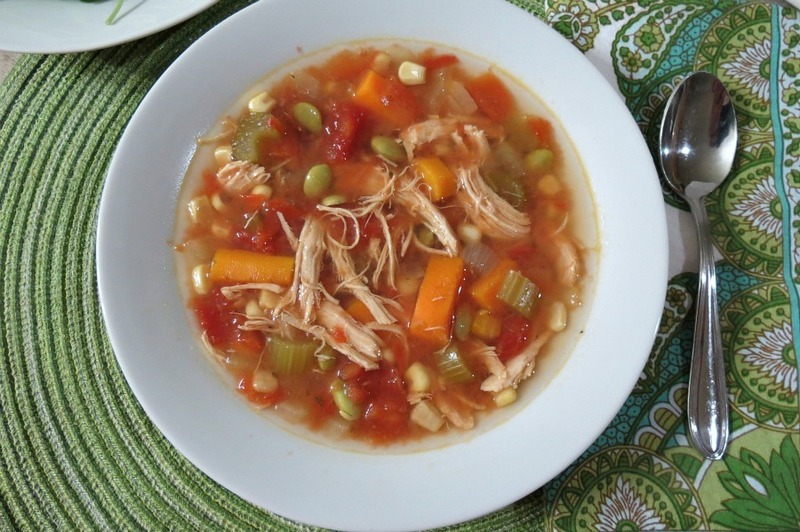 Chicken Vegetable Soup – This is a nice soup, with great flavor and I just love the vegetables in it. 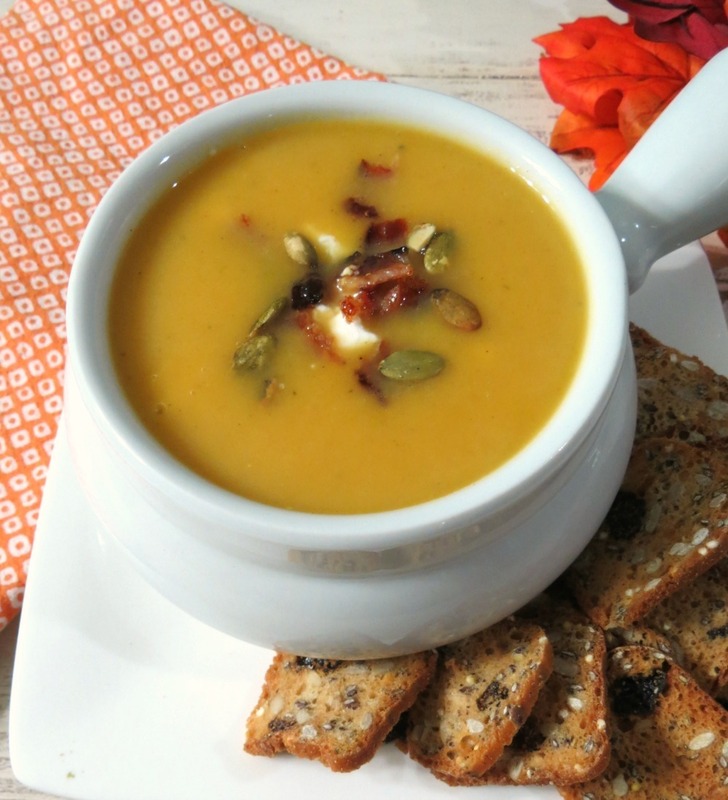 Creamy Butternut Squash Soup – I love butternut squash soup, but it’s not a family favorite. No one seems to have the love for butternut like I do. I think they are crazy! But this soup is one of my favorites and I will be making it again, guaranteed! 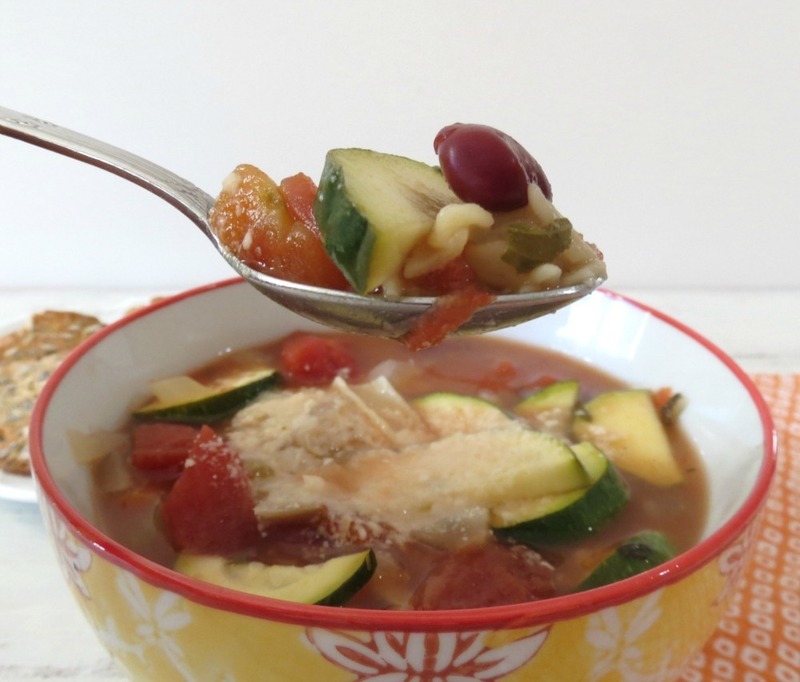 Minestrone Soup – This a great soup for a side dish, reminds me of one that would in an Italian restaurant. I love it! 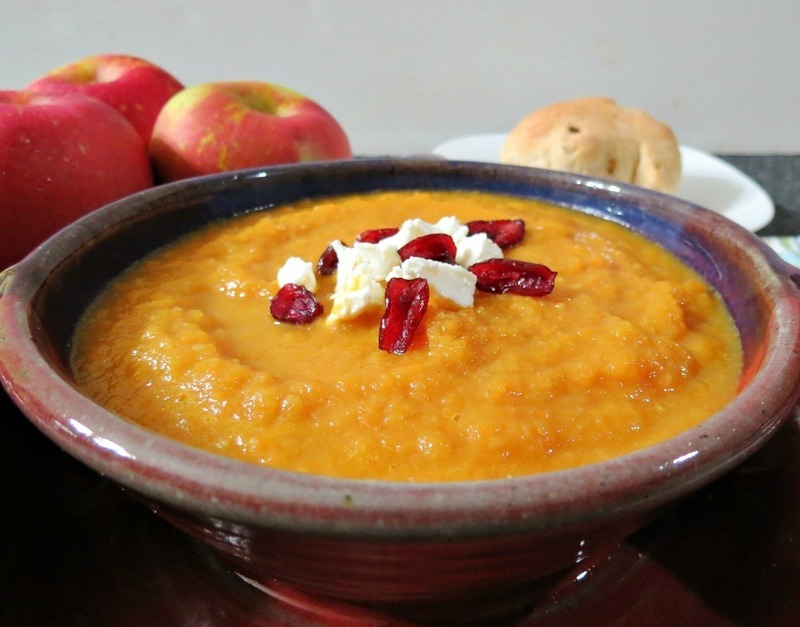 Roasted Carrot, Fennel and Apple Soup – This soup screams Fall! It’s so creamy, thick, hearty and low-calorie. The flavors of fennel with carrots is so good. the flavors really compliment each other. 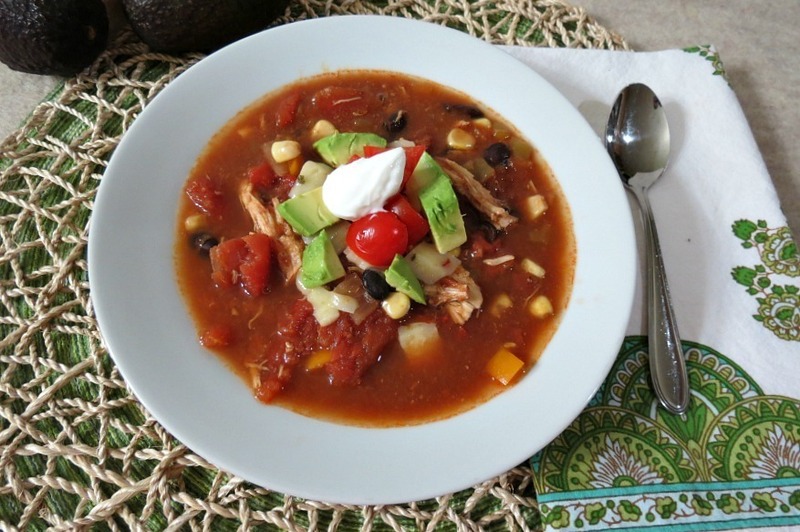 Southwestern Chicken Soup – This is also a favorite. When I go out to a restaurant, I always order southwestern soup if it is on the menu. Chicken Potsticker Soup – This is the easy soup in the world to make. 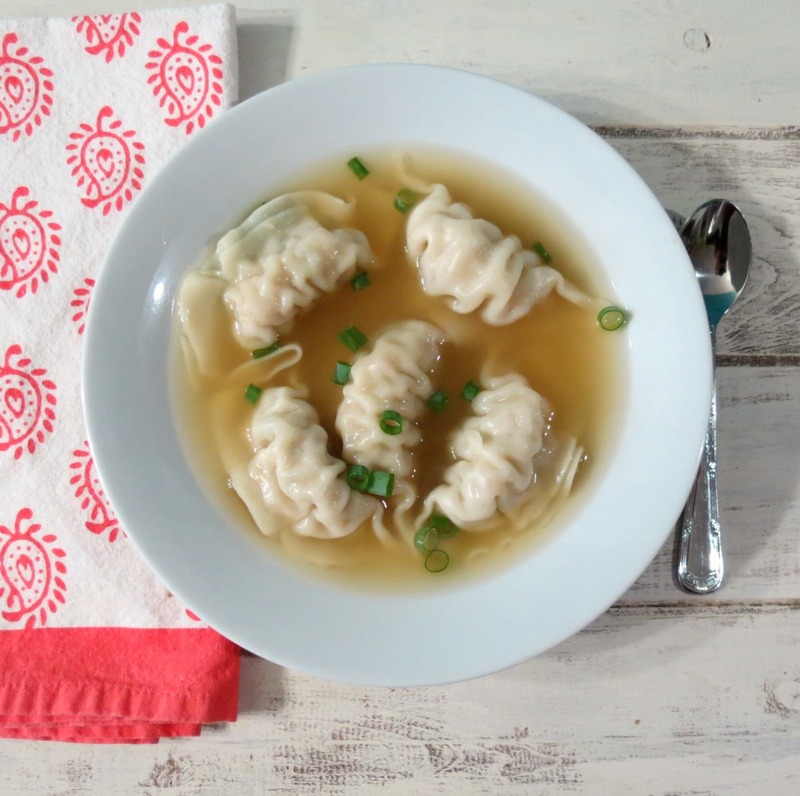 Heat up some chicken broth and pop in some potstickers. Add some scallions for flavor you have soup in 10 minutes. It’s great for a weeknight soup! That’s it for soup today! I need to start coming up with more fun soup recipes. I just love soup this time of year because it’s warm, comforting, and easy to make. Enjoy your weekend and stay tuned tomorrow for a budget friendly recipe that you will love for the Fall!